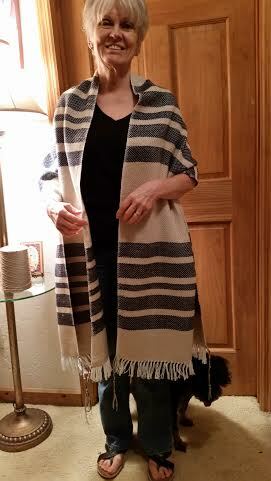 Our Tallits are about 21″ wide and 8′ long plus fringe, which makes them the narrower, around the shoulders version rather than the larger over the head type. They are made from a single fiber, 100% cotton, and the four fringes (tzitzit) are made from the same fiber. They are tied in our own style, with five knots. Of course you could add your own, in any of the traditional styles. 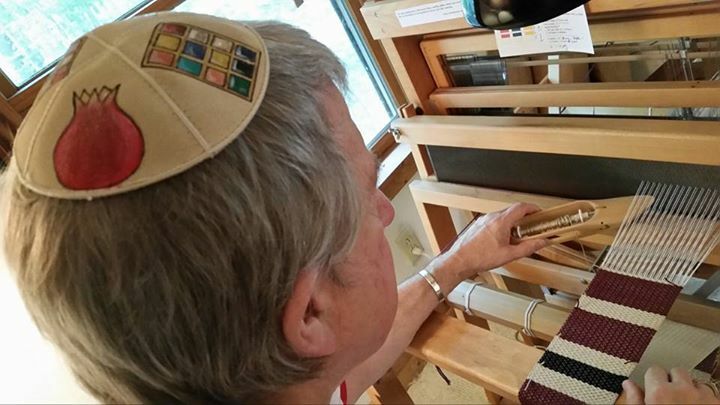 There are many opinions about what makes a proper Tallit, but we feel confident ours are appropriate to wear in Temple in most places, as well as at home. Our reference is this excellent article in Ben’s Tallit Shop. 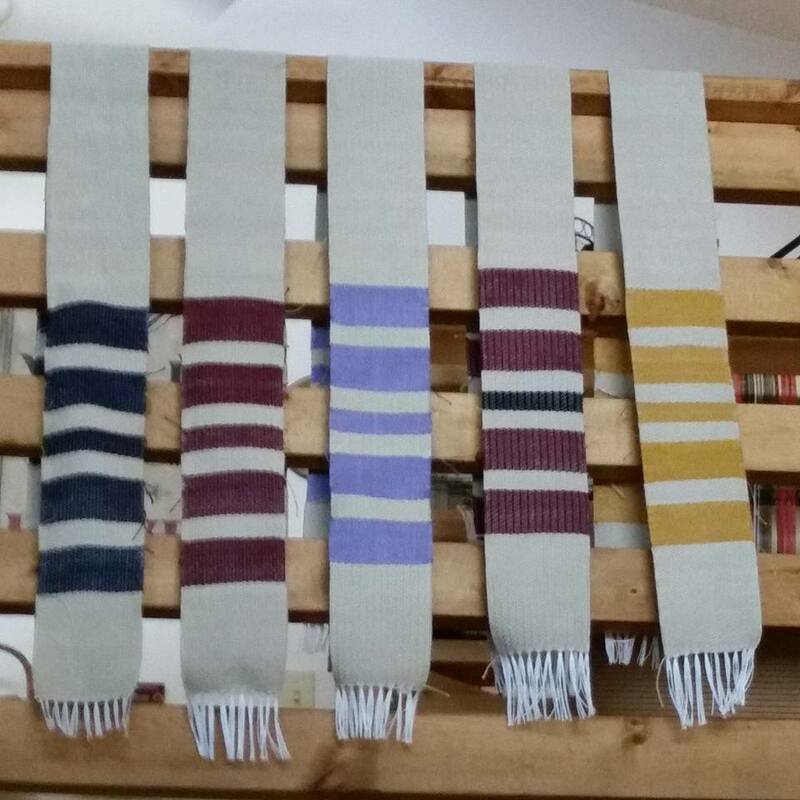 Shown just off the loom and not yet trimmed and pressed – five “Prayer Stoles” to wear for private prayer, visiting the sick, etc. 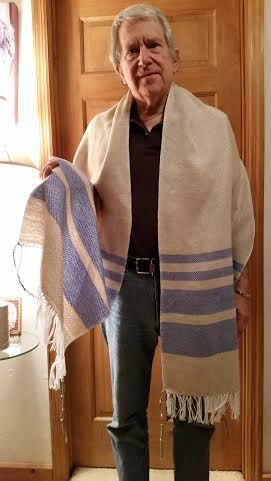 A small version of the Prayer Shawl at a lower price, about 4.25 X 60 inches, long enough to drape around your shoulders without looking like a liturgical vestment. Note – these prayer stoles are NOT just for clergy – they are for everyone! 100% mercerized cotton. $35.00. 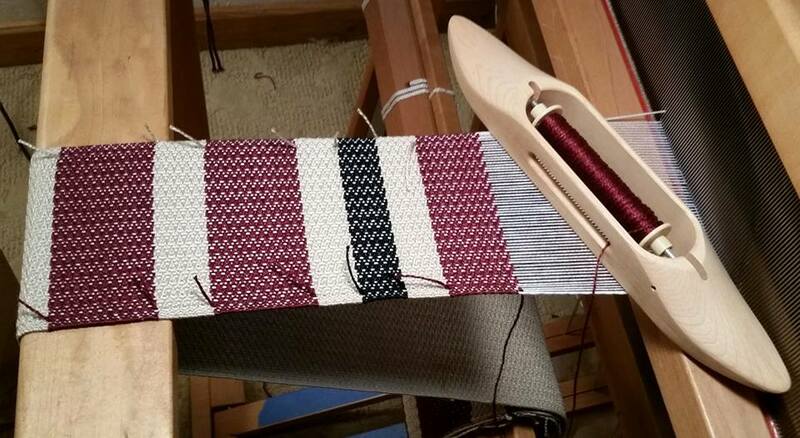 All five are already spoken for, but I will put some more on the loom next week. Meanwhile, you can order one, and custom specify the color and design of the stripes!